Ok. It's time to start thinking about what to pack for Miami. I'm (unfortunately) not in the position to go splurge on new wardrobe items for the trip like the good ol' days of buying a dress (or two) for any and every occasion one was needed. And my gold glittered jeans from college are long gone (haha - just kidding!). I'm thinking sprucing up what I already have with some new accessories is the way to go. But here in the suburbs of Boston, in my Middle School office, accessories are not necessarily on my mind....especially the accessory trends of the upcoming season. Blythe and Deweese, please, help enlighten me with some must-have accessories for the upcoming season! Because on the continuum of Fashonista and Mom Jeans...I feel as though I'm creeping toward those high-waisted, tapered-ankle wonders! First of all, DON'T GO NEAR THE MOM JEANS! You're not even close to that... and we won't allow it. You're too damn cute for that nonsense. DON'T GIVE IN! WHITE: We're thinking this can be pretty easy AND inexpensive. You probably already have white in your summer/beach wardrobe. This year, just layer it all together and you're set! 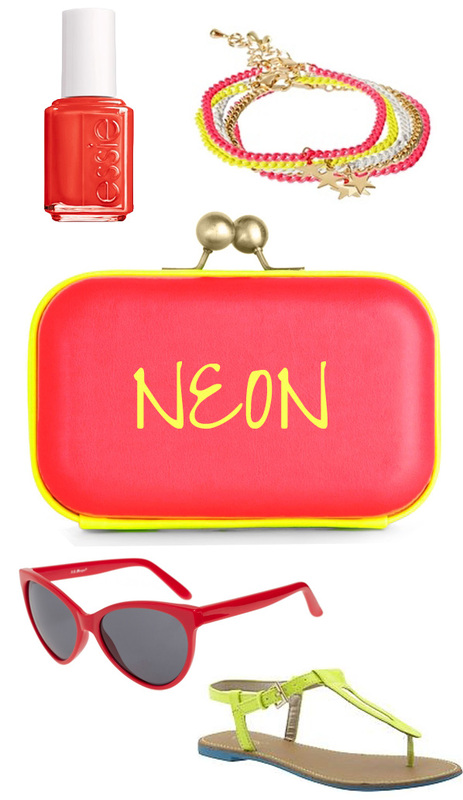 NEON: A hold-over from last year, this trend isn't going anywhere. Throw it on your nails or around your wrist. 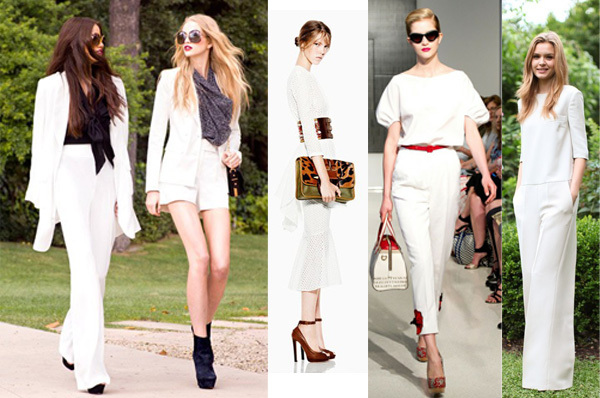 So easy to add to the aforementioned white oufits that you have coordinated! TRIBAL: We're starting to wonder if 'Tribal' and 'Animal Print' are alternating trends. We just heard recently that animal print is OUT. But have no fear, you can get your exotic neutrals in the form of tribal wear. Whew! Dukester, Hope you like what we picked, and hope it's helpful! We're counting the days until the Rack Attack unites in Miami! PS... BRING BACK THE GLITTERY JEANS! 2002 IS ALIVE!